Botox is the name for a constituent’s administered into the skin for inhibiting the movement of muscles. Botox helps smoothes out wrinkles and other effects or signs of aging. It is a drug formulated from botulin, which is used to treat certain medical muscular ailments. It is also used in the cosmetic industry to remove signs of aging by paralyzing the muscles of the face temporarily. The Botox injections are the most well-known cosmetic procedures presently, and there are several celebrities who use Botox to achieve a more youthful appearance. Even though it is popularly used for visual and aesthetic purposes, these injections are also used to treat other conditions like stopping extreme sweating conditions. Botox injections function by blocking or obstructing the nerve signals in the area where the Botox is injected. The application around this site relaxes the muscles, which in turn diminishes the look of wrinkles and fine lines on the skin. Botox relaxes the movement of muscles by obstructing neurotransmitters. 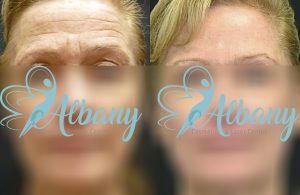 However, this lasts for approximately five months – meaning you will require additional treatments (about 3) in a year to maintain a youthful appearance you so desire. After Botox is injected into your skin, you will notice the effects on your skin within some hours and the main effects on the skin will be prominent after one week. Botox is a safe and harmless treatment; however, make sure you get injected by a certified medical professional to get the right amount or dosage in the wrinkled area. Seeking the help of an unqualified person may lead to muscle drooping, irregular results, and frozen expressions. You will also be exposed to other dangerous after effect and health issues. It depends on the individual. If administered properly, you will only experience minimal side-effects, and some patients may not experience any side-effects. Nonetheless, sometimes, some redness or light bruising around the injected area might occur, though it will only last for a short while. Unusual side-effects may include speaking, swallowing, and breathing difficulties – if this happens, you should get help from medical personnel immediately. However, these after effects are infrequent, mainly if the treatment is carried out by skilled medical personnel using the right dosage. A lot of patients can have Botox done during their free time such as lunch break and get back to their normal activities. Dermal fillers, soft tissue fillers, injectable implants, or wrinkle fillers are known as restorative implants recommended by the FDA to help create a smoother, fuller facial appearance including lips and cheeks, and nasolabial folds. Dermal fillers are easy and fast. They are injected through tiny injections and the after effects are instantly visible. The injections are simple and quick, and it gives immediate results with mild soreness and downtime. The fillers are a gel-like substance that looks like what is found underneath the skin naturally. After consulting your physician (where your expectations and goals will be discussed extensively), your doctor will present the treatment plan. The treatment will then commence. An anesthetizing cream will be placed over the affected area, and the treatment will take effect after 30 minutes. A needle is used to infuse the dermal filler into areas to be treated. Your doctor may rub in some ice to lessen bruising. During treatment, your doctor may let you examine the treated area using a mirror. Your response will be used to guide the treatment as it goes on. The gel is safe and allows the skin to create collagen for a youthful appearance. It depends on the dermal filler used, the effects of the treatment can last from 6 months to 2 years; for permanent and semi-permanent fillers, the effect of the treatment can last for five years, and reports of durable results have been recorded. What is the cost of dermal fillers injections? The cost depends on the qualification and expertise of the physician performing the procedure, the procedure type, the time the procedure requires and also the geographic location of the physician. Want to maintain a good healthy skin. The Recovery time depends on each patient and the type of dermal filler injected. Even though you can go about your activities it is advisable to avoid extreme physical activities for two days to minimize bruising and swelling. Most side effects are alleviated with massage and topical icing. This will improve the appearance in just a few days. On Sept. 30, a driver plowed a vehicle through a barricade into a police officer outside of a CFL game in Edmonton.